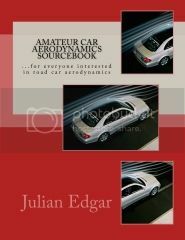 Over the years I have bought nearly all of the major books published on automotive aerodynamics. In fact, a quick glance at my bookshelf shows more than 20 of these books. To assemble the same collection, however, will take you a lot of time and a fair amount of money. But today I found an incredible free resource that summarises the vast majority of information that you’ll find in all those books. The resource comprises the presentations used in the Master of Science programme at the Budapest University of Technology and Economics, and the lecturer is Dr. Jen Miklós Suda, assistant professor in the Department of Fluid Mechanics. Dr Suda appears to have put together almost every significant picture, diagram, graph and text snippet you’ll ever find on car aero – and it’s pretty well all in English. It’s a simply extraordinary presentation. You can find the six downloads here – grab them while you can! » Comments Comments Off on Incredible car aerodynamics resource… and it’s free! The other day I went and saw Buzz Aldrin. Yes, that’s right, the second person to walk on the Moon, the pilot of the Lunar Module, and a man who today is 85 years old. I don’t think in my life I have ever gone to ‘an evening with’ type of show, let alone one hosted by Ray Martin (a local Australian TV celebrity). I had no idea what to expect, but my wife, 11-year-old son and I all went down to the Melbourne Town Hall. There were two chairs on the stage, and a large backdrop onto which stills and video could be shown. The show started at 8pm and finished – I reckon – at about 10.45…. so it was no 10 or 15-minute chat. Ray asked questions – largely banal, and at times ill-researched – and Buzz occasionally answered them. Usually, though, he treated Martin with veiled, slightly amused contempt – and talked about whatever he felt like. The first half of the show – all about the Moon landing – was just riveting. I have a technical and biographical library on space travel (perhaps 50 books) and so many of the names and events that Buzz mentioned I knew something about. But this was from the man himself! Whenever I started to half relax, Aldrin would come out with something that entranced me. Earth from the Moon looks about twice as big as the Moon looks from Earth. On the day of the launch, Aldrin paused near the top of the mighty Saturn rocket. He looked down at the tens of thousands of spectators, and thought: I need to remember this; I am going to the Moon. I liked the man’s humour – very, very dry – and his absolute lack of the need to say something that big-noted himself. After the break, he returned to talk about how he’d like to see people travel to Mars. A man who did his Doctor of Science in lunar rendezvous, he had plenty to say about rendezvousing on the way to that planet. Martin was completely out of his depth – he didn’t even understand stuff that was explained to him quite simply – but kind of tried to hold on. Buzz got excited – he’d obviously rather talk about the future than the past – but I am more interested in what he did, than what he thinks we can do. The evening drew to a close, but not before some questions from the crowd. Buzz again tended to ignore the questions and just say whatever he liked, but the questions were sufficiently open that he could do that and get away with it. He leapt to his feet and prowled the stage, gesticulating and motivating. An old, feisty, out-spoken man, brilliantly intelligent, funny, warm and… and… one of the most extraordinary explorers we have ever had. Recently I read a paper on the development of some late model Audis. Much of the rationale behind the aero development was as you’d expect – minimising flow separation, keeping the area of the wake low, using a smooth underfloor – stuff like that. However, a significant amount of effort was directed at reducing the size of the vortices being shed from the angled vertical surfaces – the C pillars in sedans and the D pillars in hatchback (or wagon) body styles. After all, if the wake size has been minimised, any further reduction in pressure drag comes from controlling these vortices – the whirling ribbons of air being dragged along behind the car. Interestingly, much of the technique in reducing these vortices occurred under the car – the shape of the rear diffuser influencing the size of the vortices that were being shed. In fact, the differences between the body shapes (eg sedan and hatch) was such that the underfloor attachments needed to be tailored to suit. And you can see another, more visible change, in aero occurring as well. For a long time, the trailing edge of the upper car surfaces has been sharply cut off to promote better flow separation. 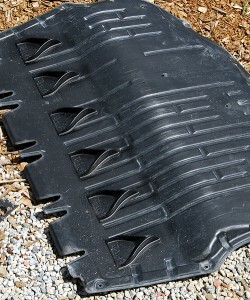 So think of the roof extension spoilers used on the trailing edges of hatchbacks, for example. Or boot lid extension spoilers on sedans. However, now the focus has clearly moved to additionally promoting clean separation on the side panels of cars. Take a look at the rear three-quarters of newly-released cars and you’ll often see a vertical crease on the corner of the car. This crease causes flow separation to then occur cleanly at this point, rather than the airflow wrapping around the rear edges. In fact, one Honda Civic I saw had a small vertical spoiler mounted at this location. I thought this factory attachment looked pretty trick – and doubly so when you think of its function. If you do a lot of driving in slow-moving traffic, looking at the different styling approaches that manufacturers are using to achieve this clean side separation can keep you entertained for hours! And finally, the way in which front and rear coefficients of lift are regarded is changing. The traditional wisdom has been that a low coefficient of lift (eg at the rear) promotes a stable car, and that a car with a higher coefficient of lift will consequently be less stable. However, Mazda research indicates that this may not be as valid as first thought. The trouble is that coefficients of lift tend to be averages – rather than taking into account fast changes in lift values that may occur due to transient changes in local airspeeds. What sort of transient changes, then? Well, the wind does not blow constantly as a steady stream: it contains gusts and other fast speed changes caused by roadside obstacles (and other vehicles) creating turbulence. It is suggested that the reason that some cars are more aerodynamically stable than others – despite both cars having ostensibly the same lift figures – is due to differing behaviour under these rapidly changing conditions. Car aero is a fascinating subject…. Well, it’s nearly the end of the year, and I have been reflecting on my busy car modification 12 months. All the modifications I have done have been to my little Honda Insight. Fitting a turbo, water/air intercooler and making and fitting a new airbox. Installing a MoTeC M400 ECU, and then doing all the engine mapping on the road. Fitting a MoTeC CDL3 dash, and then upgrading to an ADL3 dash. It’s been a huge amount of fun turning the all-alloy, two-seater Honda hybrid into a fuel-efficient turbo with about 70 per cent more power than standard from its 1 litre, 3-cylinder engine. None of these mods was cheap, but all gave the results I’d been hoping for. And in the last few weeks I have been playing with the suspension. And, so far, this has been cheap! I calculated the required specs for new springs front and back, sourced them at near zero cost, then installed them. That step was very successful, so then I fitted a new rear antiroll bar – this time, for a cost of less than fifty bucks. The car is absolutely transformed in both ride and handling – and I am yet to fit the new dampers, which at the time of writing, are on their way from the US. Sitting in the corner is the next Insight modification – a Tritium Wavesculptor200 high voltage electric motor controller. It will be used to run the Honda’s standard 10kW electric motor, although not always at only 10kW. Given the nature of electric motors, I should be able to over-rate it for short periods, gaining perhaps 20kW for huge short-term torque. I plan on controlling the Wavescluptor200 using outputs from the MoTeC ADL3 dash. 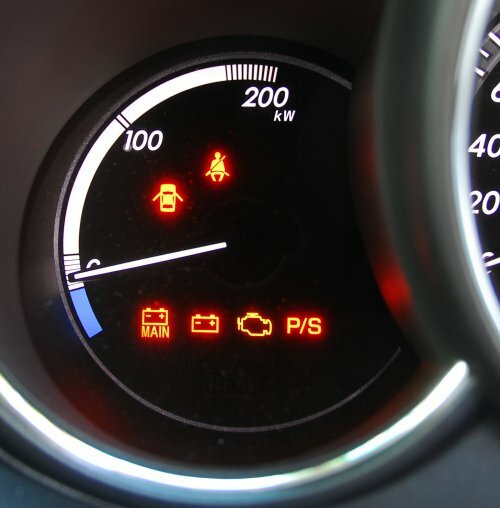 The dash – really, a digital control system that happens to have a display – has a full range of programmable maths functions and can use 3D look-up tables. The new high voltage battery pack and battery monitoring system? I am yet to decide on these things. I don’t know if I will achieve my final aim of 0-100 km/h in the Sixes and fuel economy in the high Twos (litres/100km), but the challenge is enormously exciting and rewarding. In the meantime, we’re off to the United States for five weeks. We’ll be concentrating on the eastern side of the country, and have on our itinerary a long list of technical and automotive sights – and sites. We hope to next year bring you a series in AutoSpeed that describes some of what we see. Finally, I also published another three books this year – if you are interested, search on Amazon under my name. Have a safe and happy Christmas and New Year, and remember: for fun and challenge, nothing beats modifying your car! Well, today is an exciting one for me. After a gap of quite a few years, today my most recent book was published. It’s called the Amateur Car Aerodynamics Sourcebook. I think it’s got lots to interest people who wonder how air flows over, under and through their road cars. Section 1 introduces aerodynamic drag and lift. The language is simple and straightforward – but still includes concepts such as drag co-efficients, lift co-efficients and the different types of drag that affect road cars. Section 2 is devoted to aerodynamic testing – directly measuring aerodynamic pressures, and seeing airflow patterns by the use of on-road wool-tuft testing. Section 3, the largest part in the book, covers aerodynamic modification. Fitting vortex generators, testing different undertrays, reducing drag, using turning vanes in intercooler ducting – all are covered in detail. In addition, techniques are described for reducing wind noise, building an effective engine intake that breathes high-pressure cold air, siting bonnet vents in the correct location, and testing airflow through intercoolers. If you have read absolutely everything I have produced on aerodynamics in the last decade you will have seen much of the material before. (That said, even I was surprised with some of the stuff I dug up – I’d forgotten I’d written it!) But I must say, having a copy of the printed book in my hand as I write, the usability of the information is so much higher when you have it all in one place, and can browse at will. It’s my book so I am sure that you’d expect me to say how great it is, but I genuinely believe that it adds something worthwhile to the (very few) books published on the topic of road car aero modification. One of the most exciting aspects about making car modifications is hitting the road and finding out how the car drives after the performance mods have been made. Recently, after fitting new intercooler plumbing, I did just this – but something rather unexpected happened. But back a few steps. I’d installed a new intercooler and built its associated pipework but I’d been a bit unhappy with the plumbing: it was about 80 per cent right but I thought I could do better the second time around. I wanted to change aspects like the tightness and number of bends, and to add some brackets to hold the pipes more securely in place. I also decided that this time I wouldn’t grind back any welds, thus leaving the joins much stronger. So I measured and cut and welded and painted. The end result was one I was much happier with – I reckoned the revised plumbing fitted better, flowed more freely and would be more durable. Fitting the plumbing required removing the bumper cover and undertray – a fiddly job. So while the undertray was removed, I decided to add some aero enhancements. Across the full width of the undertray I glued a line of Airtab vortex generators (pictured above). The idea was to encourage the boundary layer to stay attached to the undertray, so better drawing-out air from the engine bay as the flow moved past the end of the tray. I already had the Airtabs and gluing them in place was only a five minute job – so if they worked, great; and if they didn’t, not much time or money lost. But when I drove down the road for the first time the Airtabs were furthest from my mind. Because what I could feel was a vibration – a vibration through the floor, gear lever and steering wheel. I checked under the bonnet to ensure that the pipework wasn’t banging against anything – but it looked fine. I idled the engine and physically felt the pipes – and yes, there was quite a lot of vibration occurring in them (perhaps also because of internal pressure waves – diesels breathe a lot of air, even at idle). But then again, that’d been the case with the first lot of plumbing – where driving vibration wasn’t an issue. I went for a longer drive at highway speeds and the vibration was so bad that I knew something had to be done. And it was more than vibration – the car was also noisier. This was terrible – even in standard form the Roomster diesel is no paragon of NVH… and I’d made it a lot worse. So how much of the noise and vibration was coming from the engine? I drove along at 100 km/h and then selected neutral, letting the revs drop back to idle. And you know what? – most of the vibration and noise remained! Then I remembered the vortex generators. Surely, surely they couldn’t be causing these problems? There was only one way to find out – off they came. Incredibly, the noise and vibration disappeared. Recently I read Thrust, the book by Richard Noble on his life in breaking land speed records, culminating in the development of the ThrustSSC car – the current world land speed record holder. 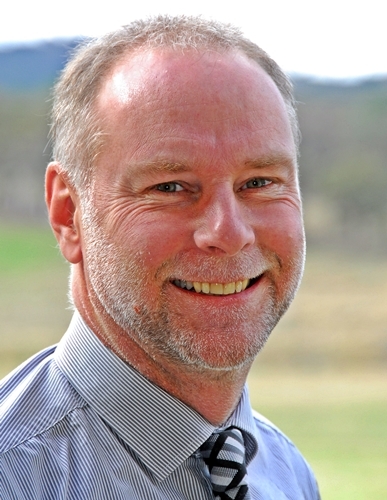 The record was achieved in 1997. The book is outstanding on a number of levels, including its honesty and clarity. The section where driver Any Green describes his techniques for steering the car is just amazing, as is the constant battle for funds that occurred every day of the project. But one small part of the book particularly interested me: the section where the primary designer Ron Ayers describes how he went about designing the car. 1. By travelling supersonically on land we would be exploring a region where no-one had ventured, where even the problems could only be guessed at, so there were no known solutions. 2. As the aerodynamic forces involved were so enormous, any accident was likely to be fatal. 3. The project would always be underfunded, short of people and time. 4. There would be only one chance. The final car was also the first prototype. The first lines drawn on paper could well be the ones that are made. The very first assumptions and decisions, if incorrect, could put the project on the wrong track and there would be no chance of starting again. Problem: how do you make those crucial first decisions when so much is uncertain? First, every decision had to be a robust one. That meant it couldn’t be invalidated by subsequent decisions. Second, we could only use technology we were very confident with. This militated against using the very latest technology in some cases. Third, although direct experience of supersonic travel on land did not exist, we consulted widely, with aviation and automobile experts in industry, universities and research establishments. Experience with Thrust2 was invaluable, particularly in pinpoint¬ing practical and environmental problems that might otherwise be overlooked. Fourth, where possible we left room for adjust¬ment or change, so we could incorporate knowledge acquired subsequently. Nothing was “hard wired”. One reason for using a steel chassis was that it could be modified if necessary. Fifth, we didn’t try too hard to integrate the systems. If we needed to change one of them, we didn’t want to be forced to change them all. Sixth, our choice of a twin-engined car made the design massively overpowered. Thus weight was not a critical factor. The design resulting from such an approach must necessarily be “sub-optimum”. A second attempt, incorporating the lessons learned, would undoubtedly be better. But the design was proved in practice, and there was little about the basic concept that would need to be changed. The more you read those notes, the more you realise the clarity of thought being employed: it’s also food for thought for anyone building a unique design of anything. 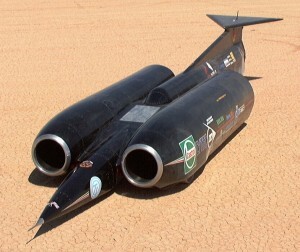 Noble and Green are currently involved with another land speed record car bid – the Bloodhound SSC. Back in this blog I mused about how little power is actually needed in a car. My benchmark was not acceleration or top speed. Instead, it was the ability of a car to climb hills at the open-road speed limit (here in Australia, 110 km/h). Based on dyno tests and the hill-climbing performance of my diesel Peugeot 405, I decided an at-the-flywheel figure of 35 kW/tonne was about the right minimum. I applied that idea to electric cars, where for reasons of lightness, battery power consumption and cost, an electric motor that errs on the side of smallness makes sense. Recently, I’ve driven three cars that have a instantaneous power output display on the dashboard. These are all Lexus hybrids – the LS600hL, the GS450h and the RX400h. The latter’s display is shown above. With this gauge I was able to see exactly how much power was being transmitted to the wheels, irrespective of torque curves, throttle position or anything else. The actual power going to the wheels. The RX400h weighs-in at 2040kg – say with my body mass, 2130kg. Typically, I used in normal driving – even sporty urban driving – an indicated 50kW or less. That’s just a little under 24kW/tonne. Getting into it more strongly, 75kW showed on the dial – but I stress, this was now going harder than most people would drive most of the time. That’s a power/weight ratio of 35kW/tonne. To get 100kW (or higher) showing on the gauge, you had to be clearly pushing the car hard. And 200kW? Full throttle and with lots of revs – completely unlike 99 per cent of daily driving. I already know from the Peugeot that, if the car is being driven well, 35 kW/tonne is enough for open road driving – and now I know that it’s also sufficient for even quite sporty urban driving. When modifying cars, everyone conducts some sort of cost/benefit analysis. That might be as informal as weighing-up the likely cost of the modification against the guessed benefit, or it might be a more detailed analysis. Back in 1998, on naturally aspirated cars, he budgeted $100 per kilowatt for a power improvement. Any more than that and he thought the value poor; any better than that and – well, he thought that was pretty good. That $/kW ratio was for mods like intake, exhaust and chip. As we covered in Analysing Road Car Drag, most aerodynamic drag of current vehicles is created by separation pressure drag. Put simply, this is reflected in the size of the wake – the cross-sectional area of the disturbed air dragged along behind the car. The most slippery vehicles in the world – the solar race cars – have reduced separation pressure drag to the extent that the other types of drag (eg viscous drag, induced drag and interference drag) become more important. But in all conventional cars, it’s separation drag that remains the big one. Now this gives rise to a rather interesting idea. Imagine you’re standing alongside an empty road. The day is a still one – there’s not much wind blowing. A car is rocketing towards you along the road, travelling at perhaps 100 km/h. It will pass close by to you. It grows in size and then roars past. Now – what do you feel? Clearly, you will be able to feel the wake – the eddies and turbulent air indicative of the aerodynamic disturbance of the car. This disturbance will take into account the separation pressure drag and the frontal area of the car – the two when multiplied form the vast majority of the actual aero drag that’s experienced by the car. And, equally clearly, the smaller the air disturbance that you can feel, the greater the slipperiness of the vehicle.